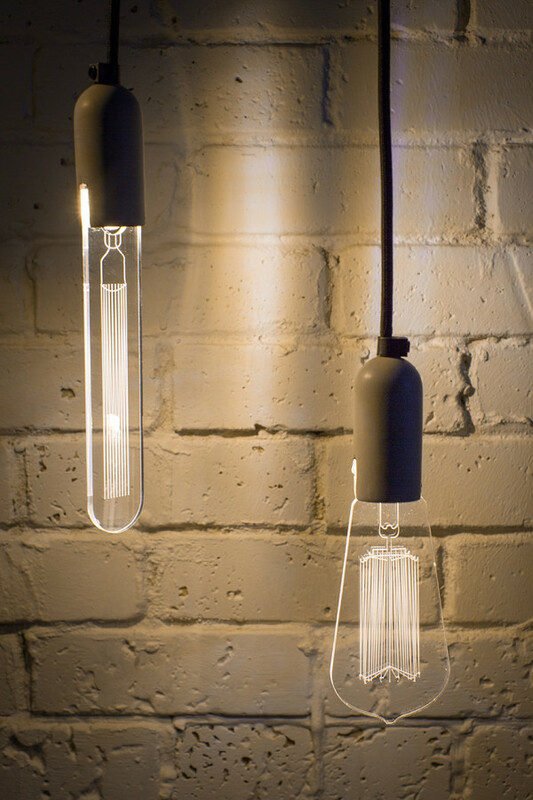 Edison bulbs have resurfaced in the past few years as a throwback lighting trend. 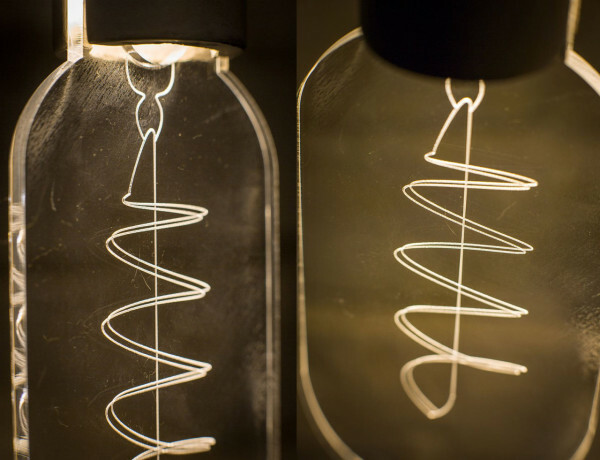 These LED laser engraved acrylic bulbs designed by SturlesiDesign have taken the trend one step further. 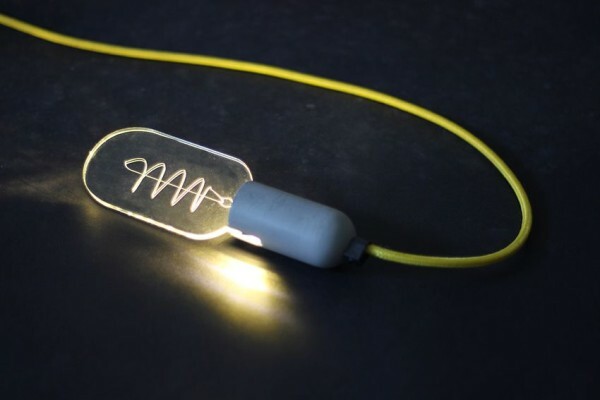 The 7W LED bulbs are paired with a concrete base that holds the 2D bulbs - each "bulb" has a life span of 50,000 hours, and 6 interchangeable laser engraved acrylic glass modules.